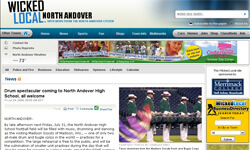 Drum spectacular coming to North Andover High School, all welcome The Madison Scouts are rehearsing at North Andover High School and will be putting on an exciting free show on Friday, July 31, according to the Beverly, Mass. North Andover Citizen. 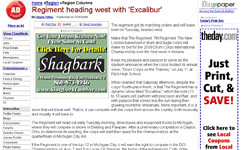 The corps will host an open rehearsal, educational clinic and full performance of their show for area music students and other audience members. 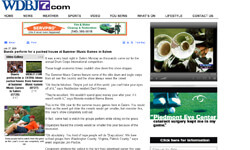 Read more about the corps' stay in Massachusetts at WickedLocal.com. 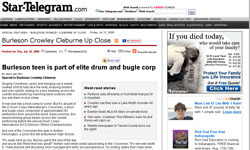 Burleson teen is part of elite drum and bugle corps The Fort Worth, Texas Star-Telegram recently featured Crossmen euphonium player Ashton Pennington. After jumping into the season a week late, this student from Burleson said he has battled an ankle injury, shin splints and blistering heat, but has also learned self discipline, time management skills and perseverance, made great friends and visited new places. 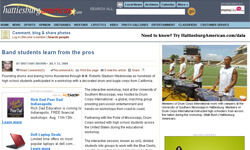 Read more about his corps member at Star-Telegram.com.